Messaging-dedicated phones are the hit these days – AT&T has most of them (recently announced 6 new models equipped with QWERTY keyboards) but the other major carriers also have a bunch of them. What about smaller providers such as U.S. Cellular? Well, here is some news - the carrier now offers the LG Banter, which Alltel got a couple of weeks ago. 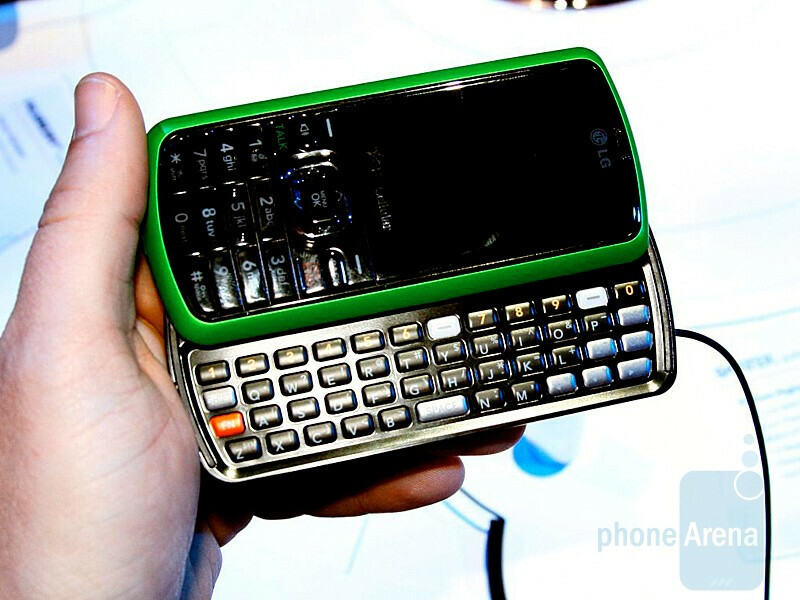 It is a budget messaging phone with 4-row side-sliding QWERTY and numeric keypad and 2” QVGA display on the front. It is identical to the Rumor 2 that Sprint offers and although is not the best QWERTY phone out there is still a decent addition to the U.S. Cellular lineup. Price is $50 after a 2-year contract and $50 mail-in rebate. Im glad that US Cellular is getting somewhat newer phones. Its so hard to sell old, outdated phones that other cariers are selling for less. US Cell's problem is not its phones anymore, but 3g. They dont have it. Well thats not completely true, but only very few select markets have it. What is thiis, 2001? with most modern carriers looking at launching LTE or WiMax in the near future (or have already started to roll some select markets out). US Cell has BARELY even started to roll out 3g... I would expect a buyout within a year or two from Verizon, with Sprint as an outside chance. now 7 y/o can text allllll the time now....uhg!